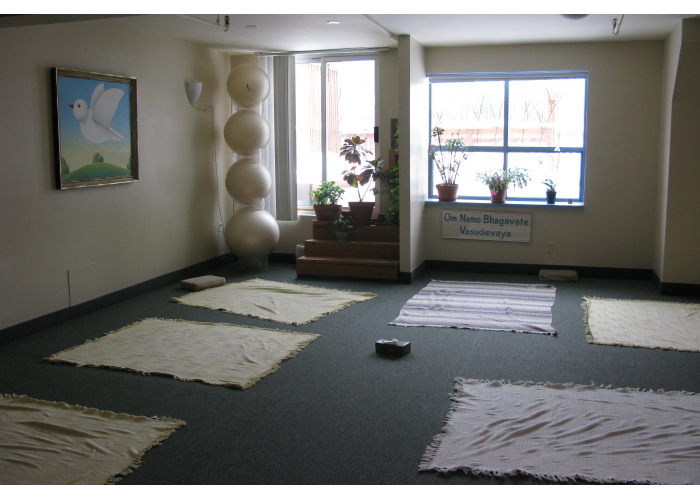 YOGA Pranayam Centre is situated on the Danforth, just steps away from Chester Station. The studio offers Kripalu Yoga, Tai Chi Chuan, and workshops focused on yoga and meditation. Owner Brigitte Kortright may be as great a storyteller as she is a yoga teacher. Sitting comfortably in lotus position, Brigitte tells of the time she was attending her first meditation class at 14. “We had to visualize a rose. I couldn’t because I’m not visual. So meditation, I decided, was not for me. Because I couldn’t visualize roses,” she explains. 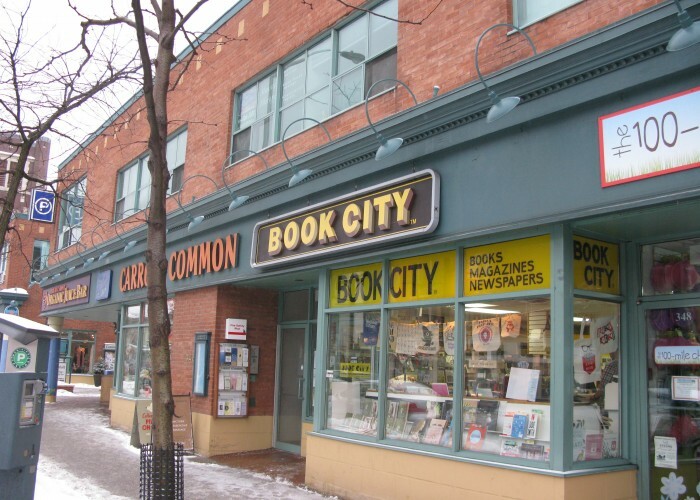 And a strong thread it’s been; Brigitte has continued to study yoga ever since that fateful day and has been teaching yoga and meditation practices on the Danforth since 1989. Throughout the years, she’s been known to end her classes with an interesting idea for students to ruminate. If they're lucky, the message will be delivered in the form of a suspenseful, dazzling tale. The interior of the YOGA Pranayam studio. 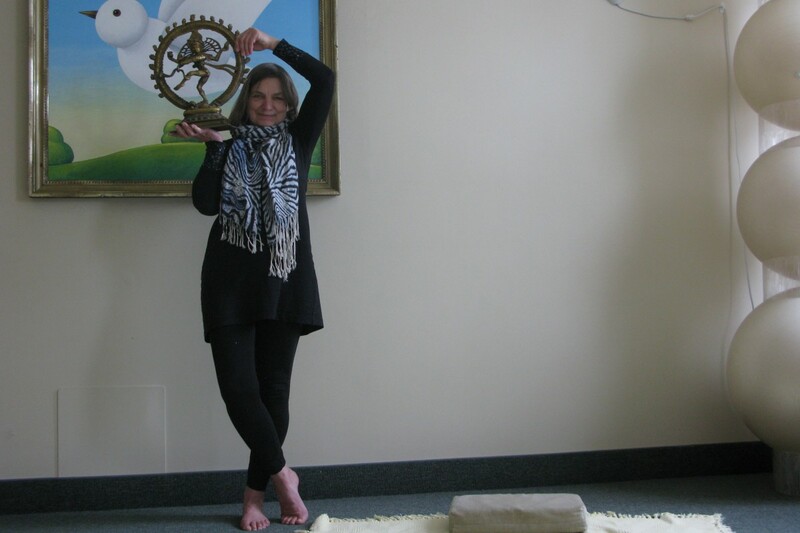 Brigitte says the YOGA Pranayam Centre attracts those looking for an oasis. “People now and then need an oasis. You need to be quiet at times,” she explains. First-time visitors can expect to walk into an inviting, candlelit studio with large windows looking out onto Carrot Common’s rooftop garden. The soothing soundscape includes warm music interwoven with Brigitte’s soft accent leading students through poses. The studio focuses on Kripalu Yoga, which places importance on mind, body and energy. This is achieved through standard poses and meditation as well as pranayama — an ancient practice of breath control that aids in stress reduction among other medical benefits. Brigitte explains the gentle poses practiced work to help calm the mind. The stillness may be difficult at first; however, she explains, “You go into a feeling space, rather than going into a thinking space. So you feel what’s going on in your body, you feel your emotions changing, and you feel your mind settling after some time. If you’re physically very still, your mind will settle.” She says when very still in a pose inspiration can come to the mind’s eye, a new thought or approach that may be helpful to a person's life. YOGA Pranayam Centre also offers Tai Chi Chuan. Similar to Yoga, the martial art carries a meditative aspect. Taught by Brigitte’s daughter, Jacqueline Kortright, the class focuses on defence techniques while also teaching inner peace. Brigitte says it involves tuning into feelings and present energy, whether calm or ready to attack, and learning to control emotions. “You have to be in the present moment,” she notes. The entrance to the Centre, located in Carrot Common.